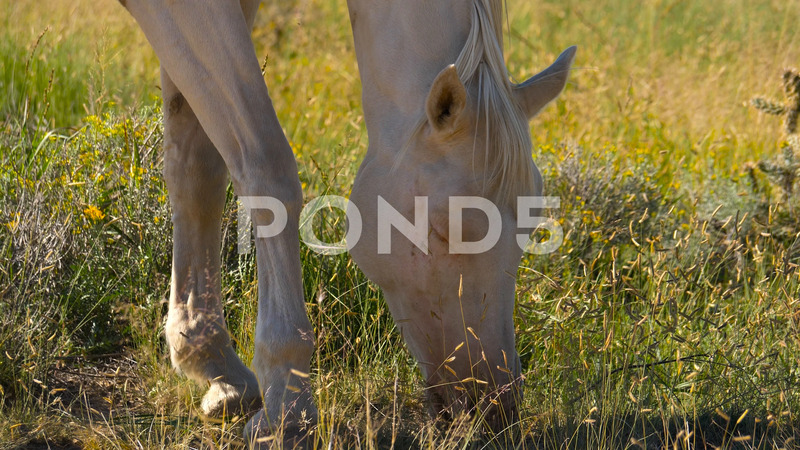 Description: 4K, Albino mustang horse grazing in a Texas plain. The animal cuts the blades of grass with his teeth and chews them. Move your head to scare the flies.